In this paper an improvement of the dynamic inverse problem solution is proposed by using constraints in the space-time-frequency domain. The method is based on multi-rate filter banks for frequency selection of the EEG signals and a cost function that includes spatial and temporal constraints. As a result, an iterative method which includes Frequency-Spatio-temporal constraints is proposed. The performance of the proposed method is evaluated by using simulated and real EEG signals. 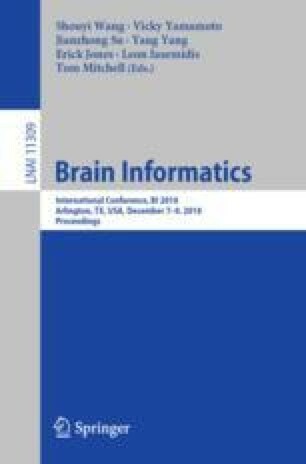 It can be concluded that the enhanced IRA-L1 method with the frequency-spatio-temporal stage improves the quality of the brain reconstruction performance in terms of the Wasserstein metric, in comparison with the other methods, for both simulated and real EEG signals. This work was carried out under the funding of the Departamento Administrativo Nacional de Ciencia, Tecnología e Innovación (Colciencias). Research project: 111077757982 “Sistema de identificación de fuentes epileptogénicas basado en medidas de conectividad funcional usando registros electroencefalográficos e imágenes de resonancia magnética en pacientes con epilepsia refractaria: apoyo a la cirugía resectiva”. This work is also part of the research project “Solución del problema inverso dinámico considerando restricciones espacio-temporales no homogéneas aplicado a la reconstrucción de la actividad cerebral” funded by the Universidad Tecnológica de Pereira under the code E6-17-2.